The concept of discipline is as old as man’s desire to form society. In fact, discipline is the pre-requisite of civilized life. It is indispensable to peaceful and orderly social life. Discipline is one of the basic requirements in a man’s life. It is a part of a standard way of living. A man without discipline can achieve nothing worthwhile in life. The strength of a man is mainly dependent on discipline. Discipline is the very condition of progress, stability and strength. Discipline is necessity in all walks of human life. Wise men preach discipline while great men practice it. 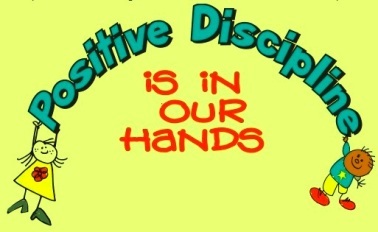 Discipline is defined as a force that prompts individuals and groups to observe rules, regulations, systems, processes and procedures which are considered to be necessary for the effective functioning.It is also defined as an activity that involves acting in accordance with a set of known rules, proven guidelines and conventions framed for the purpose. It is basically an attitude of the mind, a product of culture and environment. Discipline refers to the regulation of behaviour of members of an institution involving rules that govern goal orientation and behaviour of members inside and outside the institution. Discipline is an aspect of behaviour. It involves in using of using of sound methods with consistency. Disciplined working is needed most whenever human error can cause harm, substantial inconvenience or expense. Disciplined way of working is designed to reduce/eliminate human errors, prevent common mistakes and improve consistency in the work. Disciplined working also improves efficiency, saves time and even facilitates creativity. The set of rules for disciplined working are made with the help of knowledge and experience gained over a period of time and following basic laws and practices established either with the help of scientific principles or by analysing vast data collected over a period of time. The basic laws and practices are usually time tested and are generally accepted by all. This does not mean that the laws and practices can not be revised. In fact small revisions go on taking place on its own on a continuous basis, without people noticing it. The cumulation of these small revisions becomes quite big over a period of time. Discipline is the way of life for everyone. In his daily chores a man is bound by various disciplines. He is to follow these different disciplines through out his life which includes house hold discipline, cultural discipline, society discipline, religious discipline, road discipline, finanancial discipline, team discipline and so on. Even in his food habits he is to be disciplined. Similarly in a man’s work life discipline takes the prime position. In office he has to obey the office discipline while at the work place he has to follow various work disciplines which includes safety discipline, technological discipline, time discipline, quality discipline, cost discipline and so on. He can violate any of these disciplines only at the cost of the performance. To ensure mass and energy balances are done and corrective action taken based on these balances. It is a common fact for anyone to see that violation of technological discipline in a process makes the process unpredictable, uneconomical, unsafe and unreliable. Technological violations of a process results into productivity loss, lower product quality, increase in specific consumptions of materials, utilities and energy besides causing permanent damage to the equipment. A man is initiated into culture of discipline from his childhood by his parents and his teachers. As he grows up in the age he starts learning more and more about various aspects of a disciplined life. He starts appreciating the advantages of the disciplined culture. He starts reaping the fruits of a disciplined life. As he ascends in his career, he comes across many temptations encouraging him to deviate from the path of discipline. These temptations may appear quite attractive but can play havoc with the man’s career and growth in the long run. He should avoid being carried away by such temptations. Self discipline is the internal drive to make things happen. It can be defined as the ability to motivate oneself in spite of a negative emotional state. Qualities associated with self discipline include will power, hard work and persistence. In fact self discipline is the product of persisted will power. Whereas will power is the strength and ability to carry out a certain task, self discipline is the ability tom use it routinely. One can improve self discipline with a little effort. Persons practising self discipline are more successful than the persons who are initiated into the discipline culture either through force or through fear. It has been noticed that persons following self discipline are good leaders as they set the examples for others. All the great leaders and preachers of the world have strong faith in self discipline and they all have actively practised it throughout their lives. Many of them have attributed their successful life to this attribute. The importance of discipline in every walk of life is increasing day by day. As the world is passing through a technological revolution, where the human life is becoming faster with each passing moment, where the processes and equipments are becoming larger and larger each day, where the speeds of operations are increasing to the levels not been dreamt earlier, the cost of violation of any kind of discipline has become suicidal. As an example one can imagine the high level of discipline involved at each step in a space launch. Any small error occurring due to indiscipline in any area of spaceship launch can cause loss of human life, economic disaster and loss of motivation to the people. Similarly if a commercial pilot violates the discipline of flying an aircraft, he will not only kill himself, crew members and many passengers but also bring tremendous loss to the airlines. Such examples of the necessity of discipline are available in plenty in every area of life and in all the industries. Discipline gives a person the strength to withstand hardships and difficulties, whether physical, emotional or mental. It allows forgoing immediate satisfaction, in order to gain something better, but which requires effort and time. A disciplined man leads a peaceful and relaxed life. His risks come down drastically. His stress level decreases. He enjoys his work. He achieves his goals. His self-esteem builds up. He gets greater success in all areas of his life. The man becomes systematic which results into increase in his out put. He can perform many works simultaneously with ease. The time management of the man gets a boost through discipline. He finds a lot of time available to him to carry out multiple functions which helps in improving his satisfaction level. He also gets ample time to enhance his knowledge base. The motivation level of a disciplined man improves tremendously once he notices that the processes controlled by him are performing excellently well. A person, who is not disciplined, spends most of his time in giving explanations for his failures or justifying his under performance. This time is put into productive use by a disciplined man. A disciplined man has good interpersonal relationship with his colleagues since he does not spend his time in things which are not connected with his work and hence does not have any issues of conflicting interest with his colleagues. A disciplined man neither gets perturbed during failures nor gets elated with success. He is usually modest in his approach which is his inner strength. The discipline in a man brings in him sincerity of purpose and faith in his ability to perform and succeed. The discipline in him helps not to enter into conflict with others when he differs on certain issues. A disciplined man keeps his cool and does the right things in trying circumstances. Discipline prevents a person to spend his energy in worthless things and helps him in channelling his efforts for achievement of his objective, goals and targets. Discipline in a person though allows him to take pride in his achievements but at the same time prevents the success to go to his head. Hence a disciplined man always moves forward on a path of growth. Agree with you Sir. Valuable article to be read by all. Some of us at times lacks discipline. Very good prsentation sir, Because of discipline( one of the main Tool) only Gandhiji become father of nation.Thank you Sir. When he found that peaceful movement he initiated has become violent, a self disciplined M. K Gandhi could withdraw a movement though it had great public support. Discipline should be a way of life in the society .Our leaders have to develop Gandhiji`s strength. My experience in public sector was that unions do educate the work force about the rights of their members , they do not educate about their obligations to the employer and society. Though job security is highly desirable, in public sector it is working against efficiency and discipline. My feeling is that public sector undertakings recruit the cream from the market .But they are unable to make use of them properly mainly due to indiscipline and lethargic bureaucracy .